Archives facility in Grantsville, Md. One-hundred years ago, the Amish and Mennonite people of America responded to drastic international events. The aftermath of World War I called for relief and reconstruction in Europe. In Russia, the World War was followed by civil war and the Bolshevik Revolution with its social and economic upset, and severe famine. Mennonite organizations responded to those needs with programs of relief and reconstruction. A significant contribution from the Casselman Valley to the international relief effort of the period was the involvement of one of its sons, Alvin J. Miller (1883-1981). He was overseas from 1919 to 1927, and that without home furlough. These eight years were an intense part of his ninety-seven years. His work included interaction with persons and communities in dire need, as well as negotiations with top government officials. His organizational umbrellas included the Society of Friends (Quaker), Red Cross, and, most extensively after its founding, MCC. The program of the annual meeting of 2019 is in the planning stage with the purpose of seeing, through the experiences and writings of Alvin J. Miller, international relief efforts somehow related to the Casselman Valley. The meeting is scheduled for September 20, 21, 2019, at Grantsville, Maryland. See later issues of The Historian for further information. Casselman Historians Annual Meeting (Friday & Saturday, Sept. 20 & 21, 2019) This is a free public meeting—all are welcome! “It was Pyrrhic victory,” wrote James W. Lowry. He was referring to the execution of Hans Landis in Zurich, Switzerland, in the year 1614. The state church meant to impress the citizens with its seriousness about eradicating Anabaptism from its territory. But it backfired – it was too much for the citizens. In addition, a Reformed man from Holland was present, saw the execution of the seventy-year-old man by beheading, went home to Holland, generated protests from himself, others of the Dutch Reformed, the Dutch Mennonites, and even involved the Dutch government. The Swiss government in Zurich then changed its tactics. Though Hans Landis was the last to be executed there, persecution was accelerated in other ways – imprisonments, confiscation of property, and exile. Many Swiss Anabaptists (Swiss Brethren) emigrated to Germany, Holland, and Alsace (now in France). Having been forced to leave behind many of their possessions and finding themselves in a strange land, they suffered severe poverty. 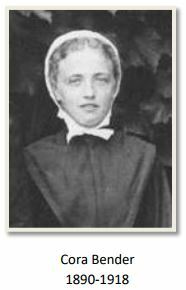 The Dutch Mennonites and others not only protested the Swiss treatment of the Swiss Brethren, but also extended benevolence in response to their need. This resulted in a long series of letters between the Dutch and the Swiss. Those letters have been lying in the archives of Europe ever since. They have been available to scholars with credentials to gain access and linguistic ability to read those documents handwritten in early Dutch, German, and Latin and to decipher the writings with their varied penmanship and old vocabulary. To the rescue: James W. Lowry. Three books2 with a combined total of more than 2,200 pages represent Lowry’s work transcribing and translating the documents. This set of three books contains nearly 325 documents extending from the years of 1608 to 1711. SUBJECT: The Oppresssion of the Early Swiss Anabaptists and the Dutch Response of Aid. The stone house of Abraham Beachy (1757 – 1833), West Salisbury, Penn., built in 1809, with stones found in the farm. Growing up near Grantsville, Maryland, I was aware of some of the historic places of the area. I associated in some way with the historical reminders featured in this article. I frequented Stanton’s Mill, at Little Crossings, with its services of milling livestock feed, dealing in commercial feeds, and producing its own brand of buckwheat flour. I had occasions of being on the homestead where the John Hochstetler house stood on its original foundation on the Omar Bender farm near Summit Mills; I played there with my cousins. Frequent drives on State Route 669 took us past the admirable Abraham Beachy house near West Salisbury; even a child could sense that it was not an ordinary house. The stone arch bridge across the Casselman River was admired for its structure and historicity and is remembered for the deep-down-gut feel when crossing its zenith even at a reasonable speed in a car. The bridge was a challenge when my father pastured our cattle in the adjoining woods; we stretched a wire fence across the river under the bridge (with its acoustical echo) to keep the cattle from wandering upstream when the water was low. The structures noted in this article date back to the period of 1800 to 1825. Our taking notice of these structures relates to the current focus of the Casselman Historians and The Historian on the Amish Mennonite experience in the Casselman Valley in that period. The two residential houses were built by Amish families, one by about 1800 and the other in 1809. The mill and the bridge are not of Amish origin, but each represents usage and culture that relates to the historical experience of the time. View more slide shows and photo galleries here, including historic Alvin H. Yoder (1902-1933) photos and a slide show of two immigrant families: Daniel Yutzy and Jacob Otto. Click the "FOLLOW" button to enter your email address to follow this website and receive notifications of new posts by email. We promise not to spam you. In this booklet Jim Yoder identifies the Amish Mennonites who at one time lived in the Casselman Valley of Garrett County, MD, and Somerset County, PA, and eventually moved to Iowa Territory. The time frame is primarily from 1846 to 1870. Click on the photo to access the booklet. Find more historic audio and video recordings here, including four-part acapella singing by The Mountain Anthems, The Ivan & Della Miller Family Singers, and The Cherry Glade Mennonite Men’s Chorus. THE CASSELMAN HISTORIANS WEBSITE presents research on the history of the Amish and Mennonites of the Grantsville, Md. (Garrett County), and Springs, Pa. (Somerset County), region. Daniel Yutzy B. 1805 Hesse Germany, D. 1884 Pocohontas, Pa. Immi. 1827. M. 1st Anna, 2nd Magdalena, who immi. with their parents Daniel & Maria (Bender) Brenneman on 9-30-1826. Daniel’s sons, l-r sitting Enoch & Jerry, back Samuel & Joel. Four of Daniels sons fought in the civil war. Joel was a German Baptist minister. 009 Daniel’s dau. Barbara Yutzy. Man on right is Anna Yutzys husband Jonas Beachy, son of Strong John Beachy. Jonas & Anna are parents of Leo Beachy. Several thousand of Leos photos can be seen on the website of Garrett Co. Historical Society. a composite of Catherine Yutzy & Solomon D Yoder. Daniel, son of Jacob & Maria Otto. Grave marker of Christian Yutzy, B. 1769 at Giflitz of Waldeck, D. 1845 in Springs, Pa., immi. 1833. Looking for back issues of “The Historian”? Click on the image to access a full library of back issues of "The Historian" historical quarterly from 1989 to the present. Sept. 2018 Meeting to Focus on Dutch Aid to Persecuted Early Swiss Anabaptists — Plan to Attend! The annual meeting of the Casselman Historians will be held Sept. 14 & 15 (Friday evening & Saturday), 2018, in Grantsville, Md. It will look at the aid Dutch Mennonites gave to the Swiss Brethren, drawing on James W. Lowry's three books (Documents of Brotherly Love). It contains nearly 325 period documents extending from the years of 1608 to 1711. Click on the book image for more information.